The underlying beliefs that people in the United States and China hold toward each other in the security realm are likely to influence, directly or indirectly, each side’s foreign policy with regard to the bilateral relationship. The underlying beliefs that people in the United States and China hold toward each other in the security realm are likely to influence, directly or indirectly, each side’s foreign policy with regard to the bilateral relationship. In-depth analyses of elite and public opinion survey data from the United States and China on a wide range of security issues provide nuanced and far-reaching insights into the potential effects of these attitudes on the U.S.-China relationship. There are substantial gaps in American and Chinese perceptions of the basic traits and characteristics that each side exhibits. However, at the individual level, strong in-group exceptionalism does not necessarily predict out-group denigration. A considerable part of the Chinese population appears to believe that China should not take on a world leadership role, or if it does, it should jointly lead the world with the United States. These attitudes are associated both with older respondents and with those in their thirties and early forties. In general, mistrust of the external world on the Chinese side stems from educational socialization and media messaging. Tea Party supporters in the United States demonstrate very low levels of trust toward China and, as a result, advocate much tougher economic and military policies. However, the Tea Party is less interested in interfering in the internal affairs of China than other elements of the population. Credible reassurance signals from the United States may be well received if aimed at individuals in the Chinese government, even if said individuals espouse a strong belief in Chinese exceptionalism. The younger cohort of Chinese citizens has yet to influence Chinese politics and policy, and there may be some basis for expecting that this group could be more accepting of a continued, dominant U.S. role in international politics. Efforts to affect Chinese beliefs about the United States may be limited by the powerful socializing effects of the Chinese government–controlled education and propaganda systems. If the U.S. Congress and the next president are beholden to the Tea Party for electoral success, then there might be more conflict in the security and economic realms but somewhat less support for the United States’ cost-imposing policies on China’s internal affairs. This fascinating research on Chinese and American perceptions of each other is long overdue. Chinese mistrust, it finds, stems from educational socialization and media messaging. It is probably safe to assume that the media plays an equally powerful role in shaping US perceptions about China. The study overturns a good deal of conventional wisdom. Many commentators warn against Chinese nationalism but the study concludes that even the most prideful Chinese might be open to American reassurance, and there is little reason to view Chinese patriotism per se as dangerous to American interests. The good news is that the Chinese do not feel morally superior or exceptional, and that the majority of them believe China should not take on a world leadership role, or if it does, it should jointly lead the world with the United States and other leading nations. This study sheds light on a crucial relationship that is complicated by plenty of rhetoric, and where policy is sometimes founded on myth rather than empirical fact. To get to the bottom of things, more research of this kind is clearly needed. 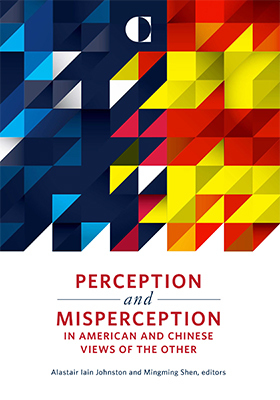 A recent in-depth study by Michael Tai (Routledge 2015) exploring bilateral perceptions and trust explains why Sino-American relations are the way they are.